We visited the town in October 2012 and again in March 2013, here is our report and impressions. 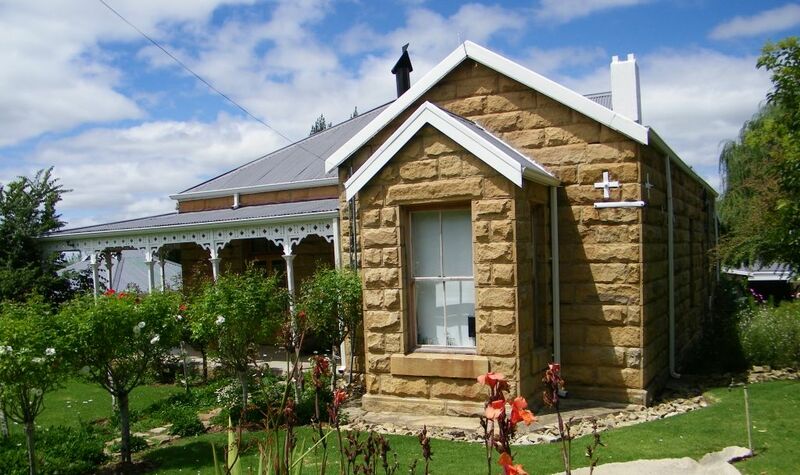 History, short and sweet, I just quote verbatim from the Encyclopedia of Southern Africa: The town was established in 1905 on the farms Driekuil and Mooifontein, bought from Adriaan and Johannes Bezuidenhout for £4380 and named after the Rev.J.D.Kestell. The village board of management which was established in 1906, was superseded by a municipality in 1909. 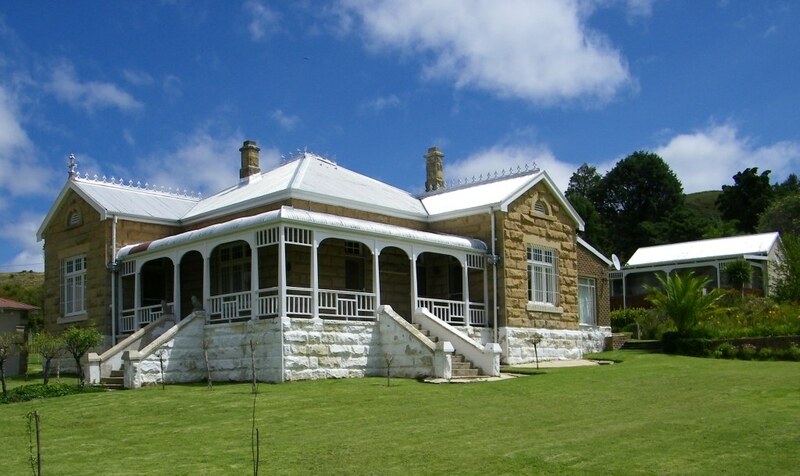 Much more about the history and the town in general can be found on the website www.kestell.co.za, a website containing lots of information about the town and very well presented. 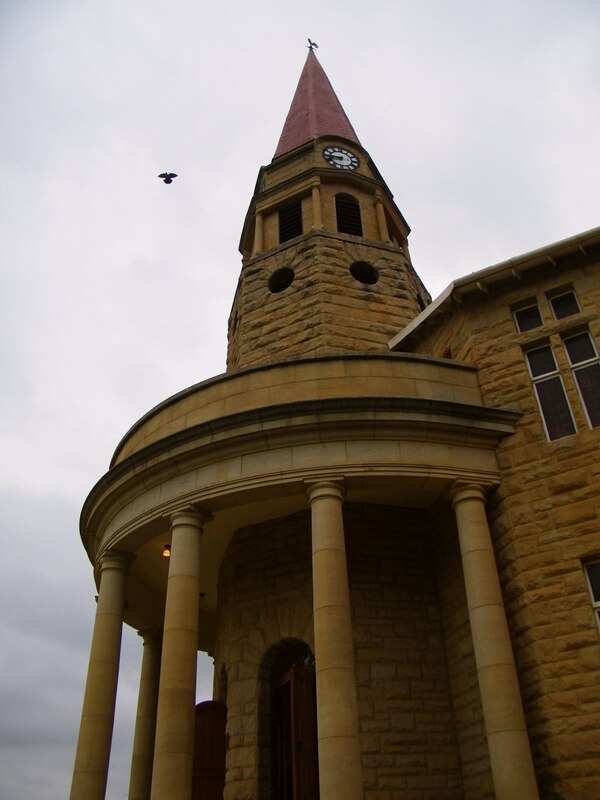 One of those typical sandstone churches of the Free State, and it is not small. 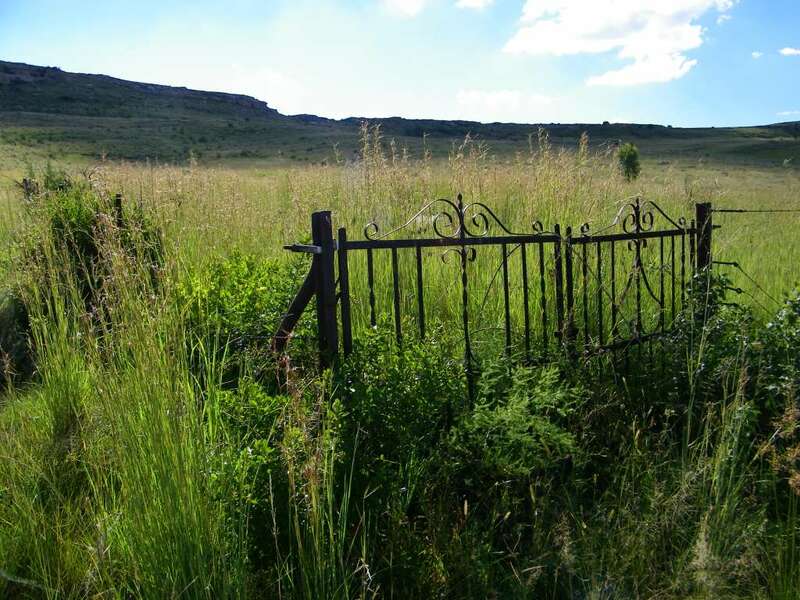 The claim is that it seats 1500 which is the second largest in the Free State to Warden which can hold 1700 people. The church was inaugurated in 1928, the architect was Gerard Moerdyk, the same person who designed the Voortrekker monument in Pretoria and check also the two tower church in Reddersburg and the church in Wesselsbron, amongst many others. When the town was proclaimed church services were held in a tent, and from 1906 in a corrugated iron church. One of the delightful stories told to us by Johann was that the minister at the time Ds E.J.P.Smit did not want to have an organ installed in the new church. He didn't like those musical instruments. It was his wife who secretly, with the help of the other woman in the church, collected money through cake sales to put toward the organ. When there was sufficient money the organ was ordered and it duly arrived which was the first time the dominee was to know about it. Not much he could do but accept it into his church. We visited the church early on Sunday morning, Johann was waiting for us there. Preparations for the service were in progress, which included singing of a few really catchy songs. I enjoyed that so much that I felt like staying to attend the service. Its so much different from when I was a teenager and had to attend service for at least 25 Sundays a year. The songs than were very stale originating from the 16th and 17th century and it was a drag to get through, waiting for those final words from the minister, which I have never forgotten: "Und der Herr schütze und behüte euch und gebe euch Frieden". Sorry, I am side tracking. 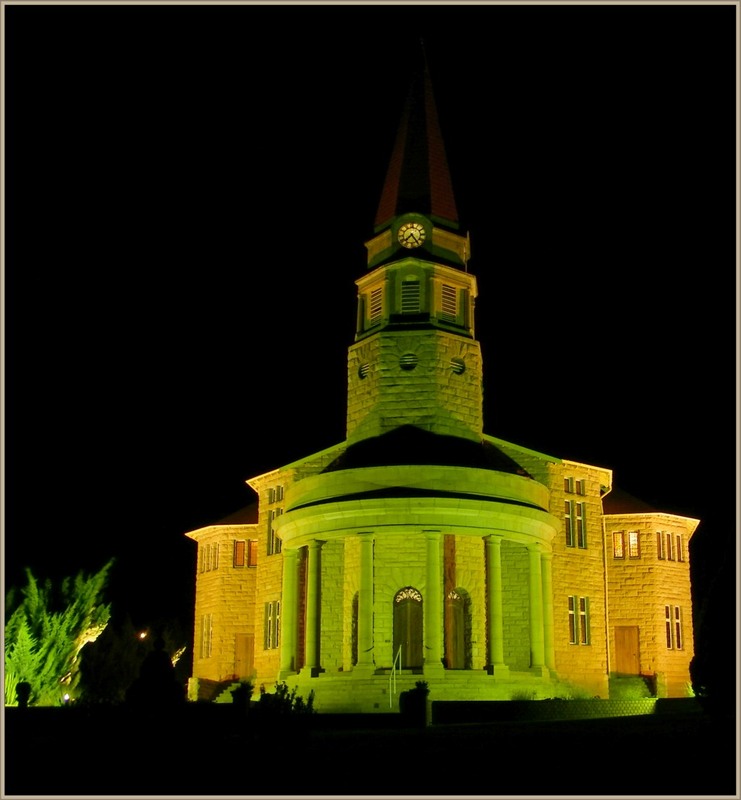 During our last visit we ask the koster to switch on the lights and that is how we got to this night shot of the church, isn't it beautiful? 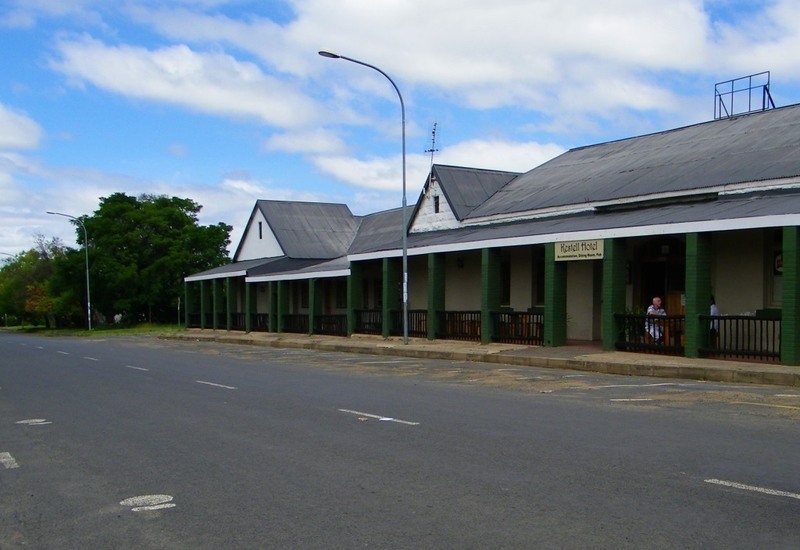 The hotel in Bligenaut street was one of the first buildings of the newly established town. It is still being kept in that style and the new owners have no intention of changing this. The picture shows some of Andy, the manager, and Mischief the receptionist who carefully watches that we fill in the registry properly. 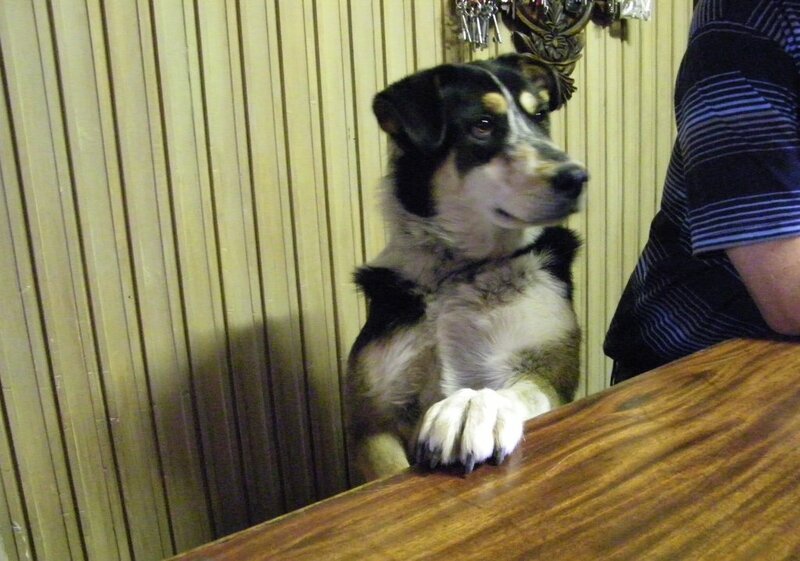 We had a pleasant stay in the hotel and absolutely no reason to complain about anything. And Andy, the oxtail was fine. Its not really a book shop, its more like a museum. And this is the little kingdom of Johan Ramage. 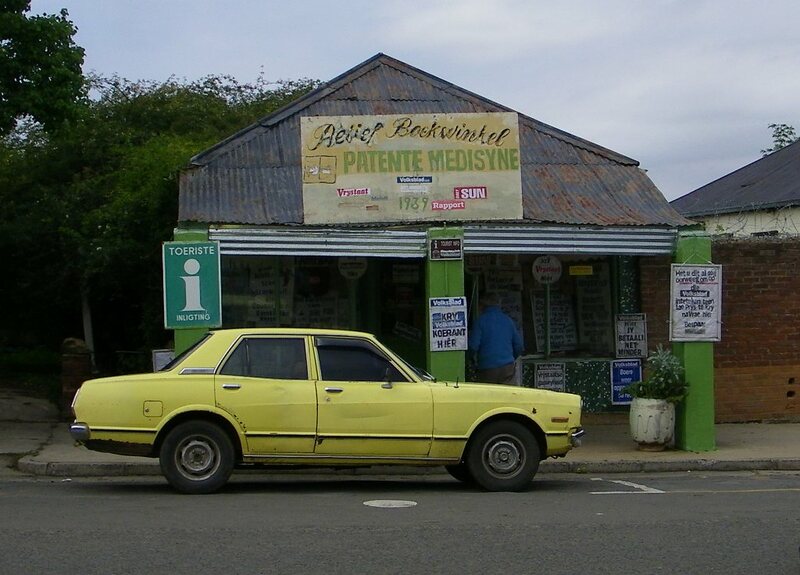 As I understand it, he does sell a few things, the Volksblad and some boere raad medicine. The collection was already started by his mother who opened the store in 1939 to supply books to the local school. His shop is well worth a visit and Johan can easily be persuaded to tell you about the town and its history. He will even close his shop to accompany you to some of the places of interest. His exhibits are mostly of local interest and don't ask to buy some the items, you will get a very definite answer, nothing is for sale. A battle took place here at Christmas 1901, although I wouldn't call it a battle, it was more like a skirmish. The British had occupied the top of the hill as part of a plan to extend the line of block houses further into the country and they had plenty of supplies with them, which did not go unnoticed by the Boers. They, under the leadership of General de Wet, were observing the going ons from a higher mountain at Tweefontein. In the early hours of the morning of the 25-December-1901 he made his move, climbing up to Groenkop in the shadow of darkness he overpowered the British force stationed there and went off with their horses and supplies. The result of the battle, 142 dead on the British side and 15 Boers. The names of 67 British victims are inscribed on the monument. 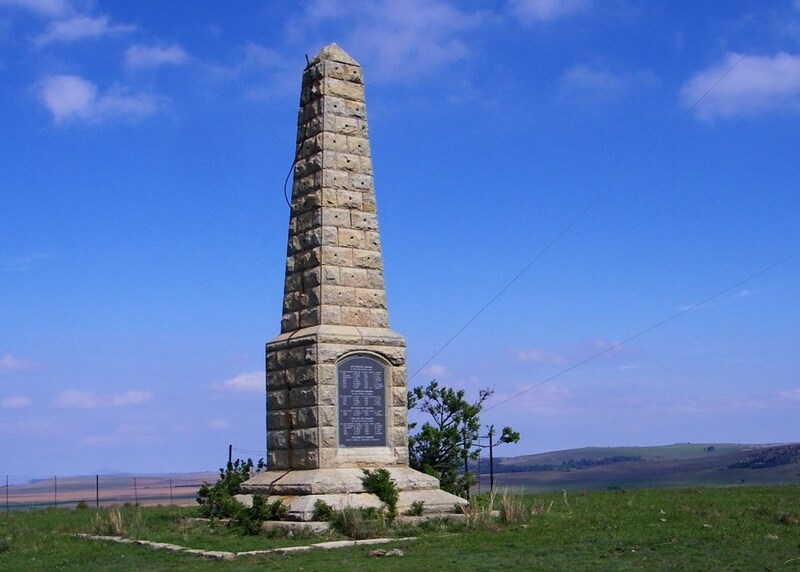 There is also a monument to the fallen Boers a few meters to the west. 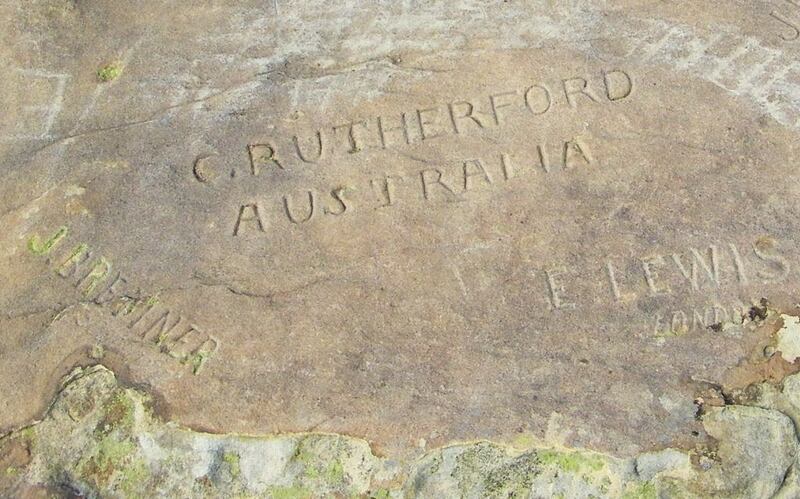 And something that we also found whilst up there is that some of the British soldiers had chiselled their names in the rock. But those inscriptions look very professionally done, which raises some doubt that these did originate from the soldiers at the time when they occupied the hill. More about the battle can be found at Wikipedia underGroenkop. Just outside town is the historical farm Blydskap. Historical because open-air church services were held under an oak tree from time to time, led by the Rev C.P.Theron from Bethlehem. This was at a time before Kestell was established, i.e. pre 1905. According to Johann the tree was planted by the Voortrekkerleader Piet Retief, but this could not be verified. According to a newspaper cutting found in the Information center it was planted by Adriaan Olivier, one of the early, if not the first, owners of the farm Blydskap. 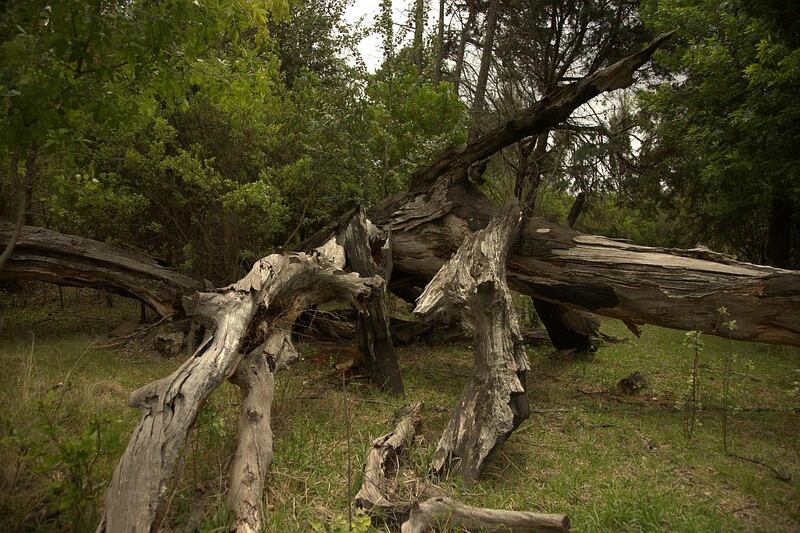 The tree is no more, it fell over and just the dead trunk can still be seen. The original farm house is still standing, although it is in a precarious condition. Johann says it dates from 1839. In one of the bricks next to the door one finds what looks like a date scratched as 29.7.81. Thus it is likely that the building originated from before 1881. But not 1839, reason being the use of mortar between the bricks, I don't think the voortrekkers in those early days had cement available to them. Its construction is a base of sandstone blocks, about 0.7m high and above this what looks like weakly burned clay bricks. The erosion of the bricks that has taken place over the last 150 years or so is considerable and clearly visible. 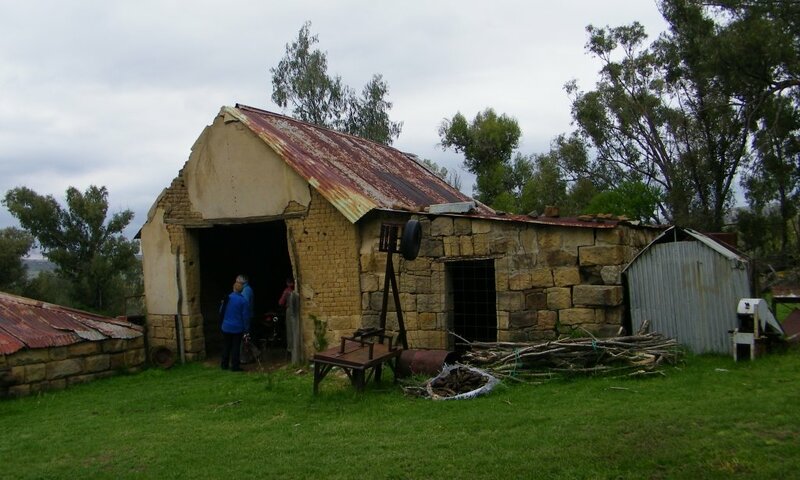 The roof beams and the trusses are made from tree branches, the original roof was thatch on top of which was corrugated iron sheeting, added later. The annex to the right in the picture was added later. The next house constructed on the farm was built in 1927, and this is verifiable by the inscription over the door. A more modern house followed later. It looks like grave robbers have been busy there with three open graves. Its a sanctuary for mainly the cat family, but also other animals that have been rescued. There are a number of owls, which because of injuries cannot be released into the wild again. All of the cats are tame enough that Attie can enter their cage without being attacked. 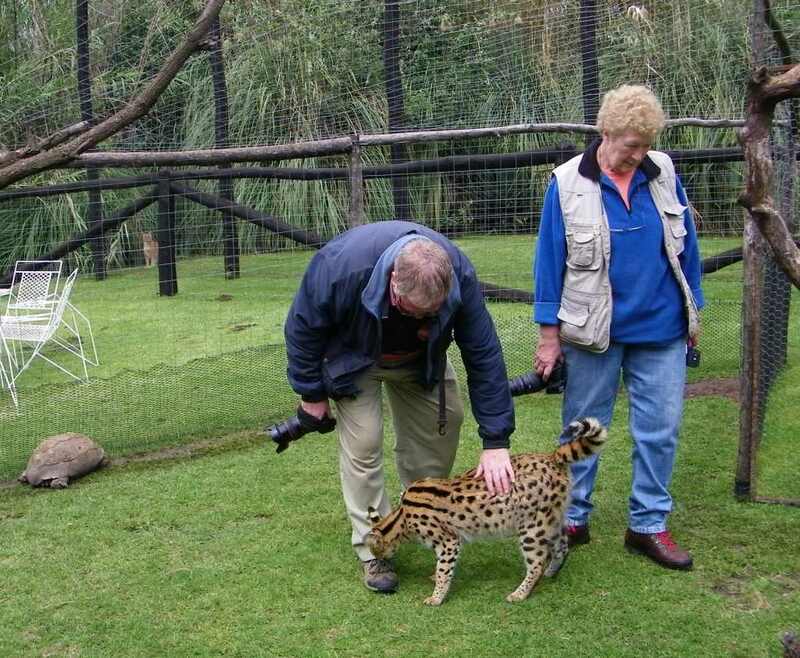 The Serval cats are so tame that he allows the public to enter the cage, they are like house cats and love to be stroked. In the lion den he has two male lions, about 7 month old (that was Oct 2012). Attie spends time with them in the cage. The graveyard goes back to the beginning of the town and is certainly worth a visit for those interested in the history of the place. And there are a number of them, not surprising since sand stone is readily available in the area. One of the houses shown was build in 1918 by the first medical doctor who had established himself in town. I am unable to say which one because we have conflicting information, perhaps somebody from Kestell can get this sorted out and let me know.